Days are longer, flowers are blooming and snow has melted. Spring is here and it’s time to get back outside and seize the day. Whether it’s a company sponsored 5k run/walk, a community clean-up party or encouraging smart snacking, there’s a lot of fun ways to celebrate a new season while engaging employees. 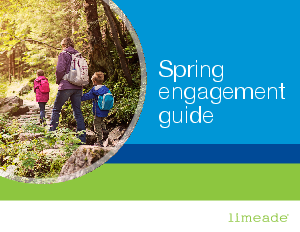 If you’re looking for some new ideas to challenge your employees, download our spring engagement guide today.